CME Europe and CME Clearing Europe close shop. LSE and Deutsche merger: Size is not the only thing that matters! LSE and Deutsch are going to merge. Size is not the only thing that matters. The EU adopted the regulation of mandatory central clearing for IRS related products today. A couple of months and perhaps some more parliamentary scrutiny before they go into effect and then the countdown begins. Many experts have expressed the concern that moving more and more OTC trades to a CCP is exchanging a lot of small risk for a few very large risks. Obviously Moody's, being a rating agency, feels a rating is the way to go and has a proposed rating method. Not so long ago, when the industry was in full auto destruct mode, governments and regulators stepped for the big bail-out. Naturally that came at a price. The internet might just be too small to list all the measurements, fees and regulations that followed but one thing stood out; risk associated with the financial industry had to become more visible and had to be contained. Centralized clearing for those pesky OTC transactions became an essential part of this. It would enhance transparency, deal with counterparty risk and it seemed like the best solution to prevent a domino effect. Instead of lining the domino blocks next to each other, you'd stack them on top of each other. With that imagery in mind, a top US federal researcher identified the next problem. The stack at the CCP might get too high at a certain point (concentration risk). No, who could have foreseen that? "MIFID II, more draconian than regulators realize"
Tom Conigliario, the MD of Markit, a large US based financial services data provider states that ESMA is taking things too far and that the measurements are more draconian ans troublesome than they realize. According to Conigliario, trading costs will rise, fund performance may be hindered and further consolidation between funds might take place as the smaller funds will be incorporated with the larger funds. He can also imagine that some asset owners like pension funds may choose to do more internal management. An associate of Conigliario goes as far as predicting the death of OTC markets. Other experts consulted in the article disagree but do share the opinion that there is a lot of trouble ahead. Last week the wise men of the financial world gathered in Paris to discuss the future of the equity markets in the Tradetech conference. A very good blog was written by Tim Cave summarizing the key takeways from the conference. So, for all that were not there, catch up by reading this article. OTC trading is sometimes better! The OCC is reporting a drop in on exchange trading in options on the US markets. At the same time OTC volumes are up! This is certainly strange in view of the increased emphasis on counterparty risk. However, it looks like other factors are at play. High exchange fees, ease of execution and fear of being picked of by HFT seem to be the main drivers behind the shift in volume. Some arguments do make sense. Having your order executed in 20 tiny exchange trade is not always that convenient. CBOE seems to be in the centre of the discussion as the have a monopoly on some of the listed derivatives. Read the full article here (Reuters). The OCC report can be found here. Should clearing be treated as a utilty? More/Less regulation, the threat or virtue of HFT, the 'Dr. Evilness' of banks, there is no ultimate truth. Truth comes in many forms and is, amongst others, dependent on ideological framework, cultural background, experience, a vested interest or simply the hand that feeds you. 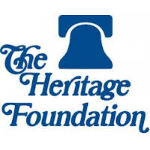 With that in mind, it is interesting to read this research article by the Heritage Foundation, a conservative US think thank. One of its missions, to repeal Dodd-Frank. In this article, the author points us to article VIII of Dodd-Frank, which provides the opportunity to designate PCS (Payment, Clearing, Settlement) companies as Financial Market Utility. Which basically means that they can be considered to be of systemic importance and therefore "too big to fail". To the conservative mind, this is an outrage. In their view it, again, crosses a border between government and private enterprises, It would be anti-competitive, raises prices and concentrates risk. Biased, of course but nonetheless an interesting read. I wonder if European Regulation also has this ‘utility’ designation for European Institution. Click here for the full article. In a statement released on 18 march, ESMA indicated that national regulators have taken big steps in improving the level supervision of HFT. ESMA correctly stated as well that there is still room for improvement. The trading community is coming up with new technology and software on an almost daily basis and regulators are having a hard time catching up. The skills required to understand the data, the algorithms, the IT, etc do not come cheap and probably you will find the best in HFT. Innovation is not limited to the trading community. Developments in market infrastructure, new products and international co-operation stress the available resources at national regulators even more. Spending taxpayers money on financial markets is probably not very popular. However, the alternative is worse. Read the full ESMA review here. In a legal battle between the UK and the ECB, the European general court ruled in favor of the UK and annulled the location policy for Clearing Houses to handle Euro denominated transactions to be handled within the Eurozone. The policy, instituted four years ago, was never effected and now the UK can be certain that the city of London can remain Europe's financial center, housing clearing moguls like ICE Clear and LCH.Clearnet.